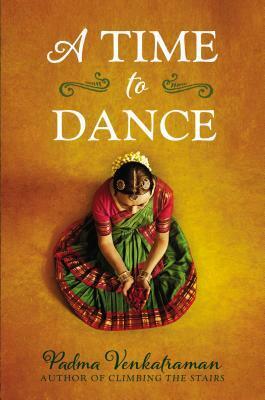 Padma Venkatraman’s inspiring story of a young girl’s struggle to regain her passion and find a new peace is told lyrically through verse that captures the beauty and mystery of India and the ancient bharatanatyamdance form. This is a stunning novel about spiritual awakening, the power of art, and above all, the courage and resilience of the human spirit. This was unlike any book I’ve read, however it was beautifully written and transported me into a world with concepts I’d never even considered prior to opening this. Let’s start with Vida. She is an incredibly strong young woman who fought through so much and developed so much as a character. I was taken aback by her at first, not sure if I liked her. But through all her hurdles, she came away as an incredibly influential character who would help numerous people struggling to believe in themselves again. Secondary characters were still a huge part of the story and provided such an influential platform to help Vida spring from into her new life. I fell in love with so many of the characters and how they helped to provide Vida with challenges, advice, motivation and support without ever feeling false or forced. Each character was built up and wrapped up perfectly and allowed the reader to grow with them and learn from them without ever feeling pressured or preached to. The romance in this story is flawless. Without giving too much away, Vida’s love interests helped her grow further into who she was meant to be. There was quite a lot of religious and spiritual views mentioned in this book but they were all for the purpose of expanding the knowledge of the reader. I never felt preached to or as though Vida was being forced into anything. She went through her own changes and developments toward her beliefs as the book progressed – as realistically as anyone would in real life. Overall, this book was incredibly relatable. Though I never experienced something as Vida has, I have a new understanding of it. I learned an incredibly large amount of culture through this book, and find myself wanting to learn more. I loved that it was in verse, and allowed the author room to write just enough to keep throw story on track while still including the beautiful words and phrases necessary to keep verse writing interesting. I would absolutely recommend this book to people. It is a flawless, quick read and provided insight into a world of someone coping with loss in a way most of us never will. It easily found a spot on my favorites shelf. It’s phenomenal and I definitely recommend you check it out!